In the early eighties the Bay Area was not synonymous with thrash. 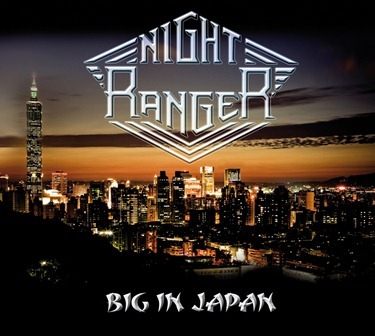 NIGHT RANGER advanced from rocking at clubs to selling out arenas with their strongly melodic sensitivity for refrains. Their debut album ”Dawn Patrol” and the illustrious single ”Don´t Tell Me You Love Me” was the start of a career that has sold more than 16 million albums. Few can keep still when hearing songs like ”Sister Christian” and (You Can Still) Rock in America”. In the late eighties the members split but reunited in 1996 for touring purposes. That was the start of a revival and NIGHT RANGER tour regularly with other golden oldies like KANSAS and STYX. They have also released new albums and their latest effort, ”Hole in the Sun” was released in 2007. Yet another tour followed, and here they are captured during that time. NIGHT RANGER has sold songs of their own by the dozens, especially the older tracks. The receive their well-earned salutes when classics like ”Rumors in the Air”, ”Sister Christian” and ”Edie´s Coming out Tonight” air. The newer songs end up the way most classic band´s newer songs do, with less cheering. The performance all feels almost machine-made and custom measured and I miss deeper efforts and emotion from the band. I don´t really get all worked up about a live that starts and ends almost without the sound of a mega audience. And this from a huge place in Tokyo? This is slick work but almost entirely for the fans, who will enjoy the ending interview as well.